ITI Limited Recruitment 2018: The Indian Telephone Industries Limited has issued a notice to invites the applications against 13 Vacancies of Office Assistant Jobs. Candidates with the required eligibility criteria are only invited at this moment for filling the ITI Limited Recruitment 2018. Job seekers need to submit the ITI Limited Recruitment 2018 online application form for the current openings on or before the closing date 5th September 2018. More details related to the ITI Limited Jobs 2018 such as education details, age limits, www.itiltd-india.com selection process, pay scale, how to apply, etc., are provided in the below section of this page that is well created by the group members of freshersnow.com. 1.9 How To Apply For ITI Limited Recruitment 2018? Candidates must Pass B. Com, BBA, BA, B.Sc Degree from the recognized Organization or Board with minimum 50% marks for General and OBC Candidates. And also candidates should have a minimum aggregate of 45% marks for SC, ST, PWD candidates. Candidates should have the minimum age limit – 32 years. In this section, candidates can know the pay scale for shortlisted people. Selected individuals will get pay scale – Rs. 17588/- (Basic + VDA+HRA) at the minimum of the Pay Scale of Rs.4240-105-5500-115-6995, plus allowances and perks as per the Company’s prevailing rules from the organization. Caste Certificate issued by the Competent Authority if the candidate belongs to SC, ST category. The print out copy of online filled ITI Limited Recruitment 2018 application form. Service Certificate if the student belongs to the Ex-Service Men Category. In case of candidates from Government or Quasi Government or PSU, ‘No objection letter’ from the present Employer has to be produced at the time of interview. Valid disability certificates which was issued by the higher Authority belongs to PWD category candidates. Experience Certificate with the latest salary details of Basic Pay, Scale of Pay, Perks, etc. Statutory benefits viz., Provident Fund or Gratuity as per relevant Rules / Act. How To Apply For ITI Limited Recruitment 2018? Hit on the Careers / Jobs tab which After that on the homepage in the menu bar. A new page will open on another tab. Later, upload a recent passport size photograph and signature at the time of filling the ITI Limited Recruitment 2018 application form. 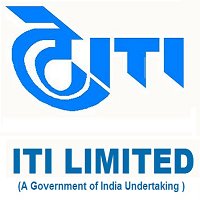 Recheck the complete ITI Limited Recruitment 2018 application form and hit on submit tab. At last, take a copy of the submitted ITI Limited Recruitment 2018 application form for further use.